Impressive three bedroom detached family home in a highly desirable residential estate occupying a corner position just off Tottington Road. 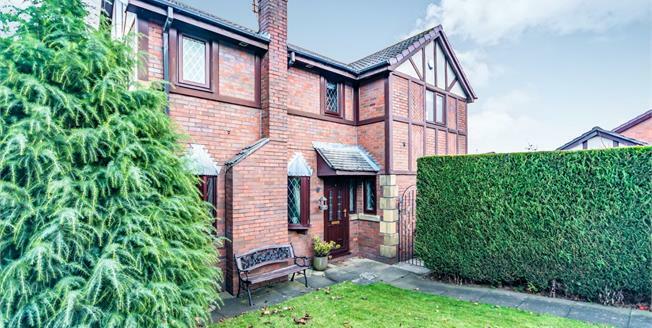 The property is ideally located within easy reach of good local schools, shops and amenities as well as being only a stones throw away from the Kirklees Trail. The property is well presented throughout and comprises of an entrance hall, guest WC, storage cupboards, living room, dining room through to a conservatory and separate kitchen. To the first floor are three double bedrooms, the master benefitting from a modern en-suite shower room and a further family bathroom. Externally the property offers a wrap around garden to the front and sides and a single garage with driveway. The property also benefits from gas central heating and double glazing throughout. UPVC front double glazed door. Radiator, tiled flooring, under stair storage, ceiling light. Double glazed uPVC window. Heated towel rail, tiled flooring, spotlights. Touch flush, double enclosure shower, pedestal sink. Double glazed uPVC window. Heated towel rail, laminate flooring, spotlights. Touch flush, roll top bath with mixer tap, corner shower.